Best known for her talents as a radio and television personality in Los Angles, Ciji Ware has covered a wide range of topics including health and lifestyle. 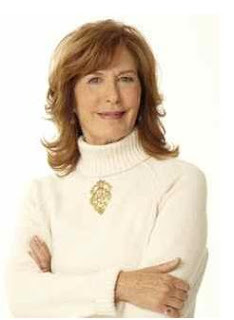 She has over seventeen years of experience in the broadcasting field and has written a total of eight books over the years. Ciji was the first woman graduate from Harvard College to become the president of its alumni association. The mother of a grown son, she currently lives in the San Francisco Bay area with her husband of 35 years and dog named Ensign Aubrey. 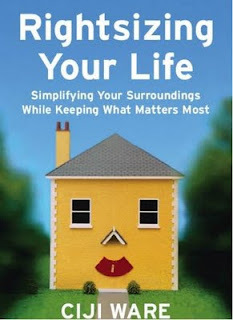 Ciji’s book, Rightsizing Your Life was chosen to be among the top 5 books on retirement in 2007 by The Wall Street Journal. 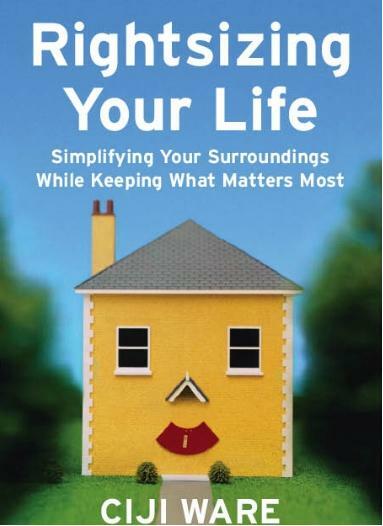 It demonstrates how to pare down household possessions in a systematic way to reduce the stress, and find “true liberation from too much stuff” as you approach retirement without giving up the things that you love the most.